I added a new addition to the household today. But she doesn’t have a head. 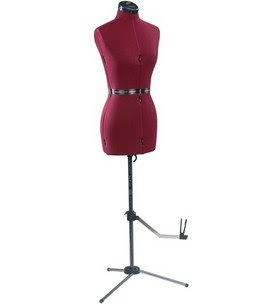 I purchased a Dritz My Double Dressform (the name My Double? A tad creepster) from JoAnn Fabric on my lunch hour, with a 40% off coupon I might add, and am *so* excited! 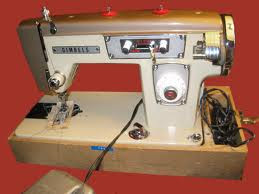 I’ve always had a strong passion for sewing; I just haven’t done it in the last, oh, 12 years or so. So a passion for the idea of sewing, I should say. My last major project was a pair of extra large dalmatian print fleece pyjama pants in high school. I know, so fashion-forward of me. I haven’t spent any time at the sewing machine since then. It finally dawned on me to stop drooling over all the gorgeous sewing blogs I spent hours reading, and actually get behind the needle myself! The first pattern I’m attempting is Hot Patterns Boho De-Luxe Woodstock Tunic. I was inspired by the tunic sweet Nina’s grandmother made for her, so Nina kindly sent me the link. I’ve started by making a muslin of the pattern, in order to get the fit (and scrub the rust off my sewing skills!) The pattern has a great shape to it, but does NOT fit me in the slightest. I’m trying to reverse engineer the pattern to fit me via the muslin, but it’s kind of hard to put on a shirt filled with sewing pins and pin even more on yourself. Ouch. I don’t make a good dress form. Here’s hoping that this is the start to a beautiful sewing relationship. My question for you is- what should I name her?! Fun! I can't wait to see your creations! I love sewing but hadn't thought about getting a dress form before. This has possibilities written all over it. As far as a name, Lola comes to mind and I have no idea why. So fun! I think you should name her Bea with it sounding like Bayuh. I don't know why … its just what I think she looks like. haha!